How Can Lawyers Better Communicate With Their Clients? MyCase Blog Home » How Can Lawyers Better Communicate With Their Clients? Effective communication with clients isn’t something that most lawyers give much thought. And this trend starts in law school, where the focus tends to be on substantive law and legal theory. If communication is even mentioned, it’s in the context of oral argument to the court or written memos of law. The importance of clear communication with clients isn’t often discussed and the techniques for doing so are rarely fodder for classroom discussion or CLEs. And that’s a damn shame, since in the absence of effective communication, lawyer-client relationships have a tendency to disintegrate rapidly. This is because strong communication skills, founded on a basic understanding of human psychology, are essential to a successful and lasting attorney-client relationship. The failure to provide clear, concise and empathetic counsel to clients more often than not leads to lack of trust and misunderstandings. However, for many lawyers, adequate communications skills don’t come naturally and must be learned. And historically, law schools have done little to aid future lawyers in learning these skills. Fortunately, into this void comes the recently published book “Client Science: Advice for Lawyers on Counseling Clients through Bad News and Other Legal Realities” by Marjorie Corman Aaron. I was recently provided with a copy of this book by one of my editors for review purposes and found it to be a wonderful read, chock full of useful information for lawyers seeking to learn how to better communicate with and counsel their clients. 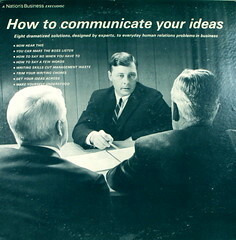 This book is overflowing with helpful analysis and recommendations based on scientific studies focused on effective communication techniques. As I read the book, there were a few tips that really stood out to me as particularly relevant to my experiences with clients, so I figured it would be worthwhile to share them here. 1. Once you deliver bad news, stop acting like a lawyer. So, once you’ve advised your client that the settlement offer was ridiculously low, that the summary judgment motion was granted and her claim was dismissed, or that the judge has once again denied a bail application, recognize that your client is in an “amygdala-heightened state” and is unable to process or understand complex ideas. This is great advice and is contrary to the instincts of most lawyers in this situation. That’s definitely the case for me, since, after delivering bad news, I often feel the need thoroughly explain how and why we ended up there. And, in the context of a legal case, that process generally requires the use of legalese to explain complex legal concepts and procedures–apparently the last thing an angry, amygdala-influenced client needs to hear. So the next time you deliver bad news to a client, step back, take a deep breath, and give your client some space–and empathy. A little bit will go a long way. One of Aaron’s focuses in the book is on the importance of establishing a positive emotional framework in your relationships with clients. She suggests that if you take steps to start things off on the right foot, it will pay off in the long run. Comfortable reception areas, with good magazines, music, etc. Validated parking or detailed advice if parking, directions, or traffic are likely to be tricky. Oftentimes, I think professionals overlook the importance of a positive gateway into their office and doing so is a huge mistake. If you’re still not convinced, think back to a recent visits to your doctor’s office. No doubt at least one of your appointments over the last year involved a highly unpleasant encounter with a rude, hostile, or dismissive receptionist. In fact, that standard seems to be par for the course lately. This type of interaction makes you feel unwelcome, unimportant, and resentful–and certainly does nothing to set the stage for a positive interaction with your physician when you finally see him or her 60 minutes later. Lawyer’s office are no different. If you want to start off every interaction with your clients on a positive note, it’s important to ensure that the gateway to the appointment is pleasant and welcoming. Although this seems like an no brainer, this is a great piece of advice since lawyers often create unreasonable client expectations during out first meeting with a client without even intending to do so. Much like the anchor on the ocean floor pulls a boat against the tides, initial numbers and positions tend to pull us their way in any negotiation…Our anchors define our initial hopes, if not our expectations…”Realistic” number are difficult to accept…(So) AVOID creating client expectation and PARTICULARLY avoid mentioning numbers at the outset. No matter how many times you say “only if,” “assuming everything breaks our way,” or “in the best case scenario,” your client will remember the number and forget the caveats and contingencies. Despite your outstanding representation in a difficult legal case, the client is more likely to feel disappointed. So, I’ll leave you with that last piece of advice from this well-written, highly informative book. And, if you’d like to learn more about communicating effectively with your clients, you know exactly where you can find it! I never knew that once bad news is delivered the recipient of the news is unable to process or understand complex ideas. I can see why this would be useful to know in any situation, including getting divorced. After reading this it makes sense why some people cannot deal with a certain situation and just run away from it. I’ll have to tell this to my sister who is always running away from her problems.